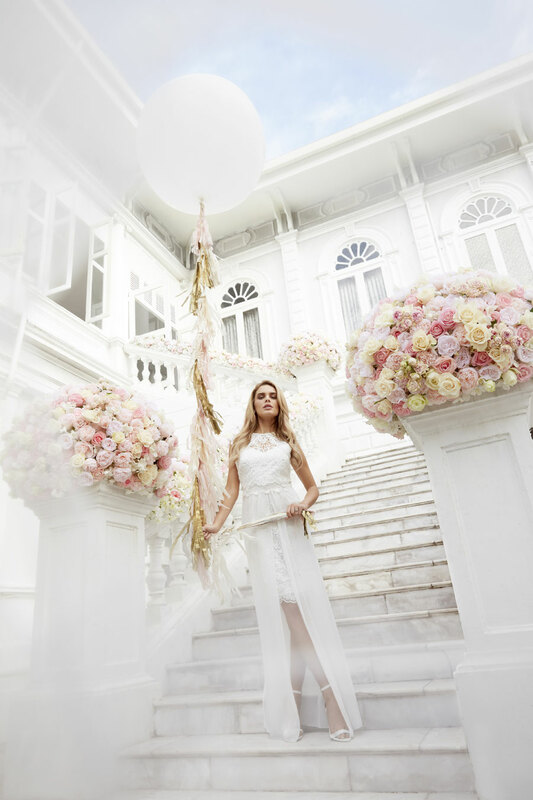 Home > Dress > Lipsy’s Debut Brides & Bridesmaid Collection: Wedding Worthy Dresses & Accessories! Whether you’re on bridesmaid duty in matching dresses or wanting varied necklines, lengths and silhouettes, Lipsy.com has it covered. Styling your bride squad for the big day can be quite the challenge, but Lipsy has created the perfect bridesmaid solution that wedding planning dreams are made of to ensure your bridesmaids are the next best-dressed girls in the room. 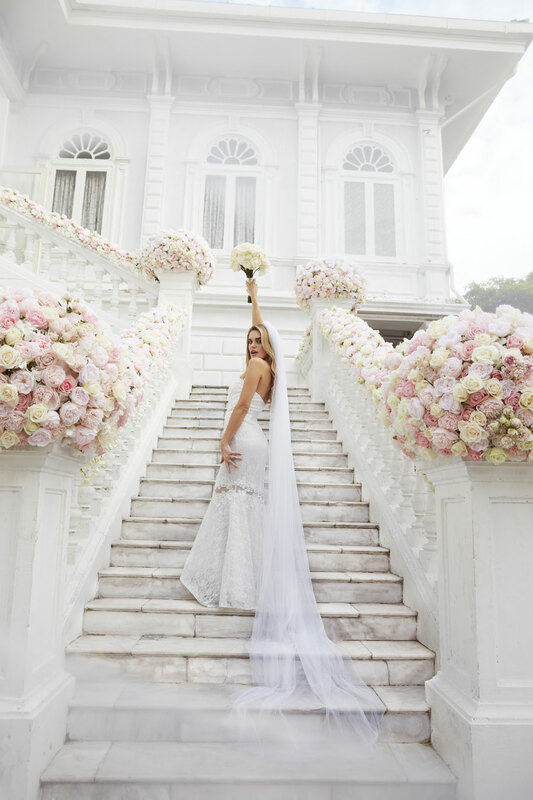 And that’s not all – Lipsy&Co, Lipsy’s multi-branded online offering, will have you saying “I do” to the most wedding-worthy dresses and accessories, making Lipsy.com the perfect one-stop destination for all things wedding. Lipsy has created an exquisite debut bridesmaid range launching just in time for the wedding season this March 2017, with a collection of swoon-worthy gowns for both bride and bridesmaids. Placing a big focus on weddings and summer events, Lipsy has elevated the ‘Lipsy VIP’ handwriting to make it even more special and showcases a seamless opportunity for their girls to wear a Lipsy dress for a very memorable occasion. Lipsy’s first foray into wedding attire begins with an exclusive collection of beautifully constructed dresses with plenty of attention to detail. With whimsical maxis in a variety of colours and styles, mesh multi-ways in complementary colours and delicately detailed midis, Lipsy’s bridesmaid offering has something for everyone allowing your bridesmaids to look fashionably happily- ever-after. Prices range between £68 and £80, so your bridesmaid squad can look breath-taking without breaking the bank. If you plan on going all out, or just adding a touch of contrast, there are numerous ways to mix up your maids’ looks. The ‘Bella’ offer bridesmaids a multi-way with structured bust detail, allowing for coordinated mismatching in a choice of three colours. The ‘Jasmine’ includes a beautiful guipure lace trim as well as an embellished crystal waist trim and comes in a variety of lengths and a choice of neutral wedding hues to ensure figure flattering silhouettes so every one of your girls can walk down the aisle in their favourite style. The ‘Lily’ has of-the-moment cold shoulders and a detachable corsage with romantic ruffle bust detail as seen on the catwalks. The ‘Siena’ has a stunning keyhole detail, a super flattering halter neckline and 3D embellished straps and waistbands, debuting in an assortment of colours. ‘Rose’ is available in timeless navy with a fully structured bust and features a detachable satin belt tie and corsage; meaning your bridesmaids have the option to wear their dresses and put their own stamp on it. And for the bride? Styles include perfect long white gowns or sweet lace ivory midi dresses for traditional country weddings, chilled beach nuptials or fun-filled Vegas-style extravaganzas. For the bohemian bride there are floor length lace dresses, and for those after something a little more glam, there’s full length embroidered numbers. Beach-style brides will love the sheer 3D embroidered dress with a stunning sweetheart neckline, whilst those opting for something a little more understated will love the pretty guipure lace midi shift dress with detachable chiffon maxi skirt – a dress you can certainly wear again. The dresses feature delicate embroidery, figure contouring corseting, flattering pleat detailing, fishtails and sheer hems, as well as placed lace and crystal embellishment. Prices start at £180 – dresses will arrive hanging in a white garment bag. RSVP in style with Lipsy&Co’s bridal offering. This more premium, yet affordable, offering from brands available at Lipsy.com is fully encompassing with a variety of stunning bridesmaid-worthy dresses from the likes of Lace & Beads, Hope & Ivy, Bardot, Little Mistress, Love Triangle and TFNC to see you through the wedding season. Sitting alongside the SS17 collections are the perfect pairing wedding guest accessories and shoes, including fascinators from Alice Hannah so you can finish creating an entire look for a steal, without compromising on quality. Such a gorgeous collection from Lipsy and loving those cheeky bridal accessories! Do pop on over to the site to check out the full bridal collection.